As a hearing impaired individual that can often be classified as deaf, I face discrimination on a daily basis. Not so much in my Jewish community, but out in the world. "All are eligible to read the Scroll excepting one that is deaf or an imbecile or a minor. R. Judah declares a minor is eligible." This Mishna seems to lump deaf people in the same group as "imbeciles." While I do recognize that this was written in a completely different era before there was PC -- it still perturbs me. Is this law still enforced - can deaf individuals can actively engage in recitation of the Scroll during Purim? Also, this leads me to wonder, can a deaf person recite the Torah in general? I understand that correct pronunciation of the Torah is key, but deaf people are not necessarily mute. Why were they singled out (in regards to the Scroll during Purim)? It seems sad to deny someone the blessings of reciting Scroll/Torah because of a physical disability that they didn't choose, and when they have alternative ways of reciting Scroll/Torah. Can these alternate ways be deemed just as valid? What is the accepted practice? I did some googling and found some interesting results. The one with the most information is here. It is a reasonably long essay on deafness in halakhah, and outlines differing opinions on different topics. Some say deaf people who can speak or hear through a hearing aid are obligated to read the Torah, but the Megilla has a particular mitzvah of "publicizing the miracle" of Purim, which requires hearing. Some say deaf people who can speak are obligated to read both Torah and Megilla. For details, read the article. For practical decisions, consult a rabbi. Not the answer you're looking for? Browse other questions tagged torah-reading handicap-disabled-impair tractate-megillah deaf . Is a person with one gender allowed to be a guide / interpreter for a deaf / blind person of opposite gender? Can a deaf person answer “Amen” to someone else's bracha? 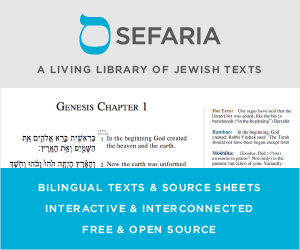 Can an Avel read from the Torah? What Torah portions are read on Monday and Thursday?